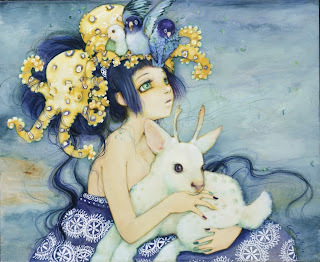 Camilla d’Errico just finished rocking things up in Portland at the Stumptown Comic Fest and a special print release and signing at Compound Gallery. Juxtapoz just posted their short ’20 Questions’ feature with her here. Catch up with the artist as she prepares for this year’s ComiCon and her upcoming 2-person show at Thinkspace this September alongside Caia Koopman. Look for more on this very special show here soon. For all the latest on Camilla, keep an eye on her blog here.